A reconstruction of Quetzalcoatlus in the Texas Memorial Museum. The 35-foot wingspan of Quetzalcoatlus — the largest known flying animal to ever exist — has made it the subject of documentaries and museum exhibits. However, very little has been published based on data from the actual bones of the pterosaur, which were discovered in Big Bend National Park by UT geology graduate student Douglas Lawson in 1971.
paleontologist and UT geosciences alumnus (B.S. 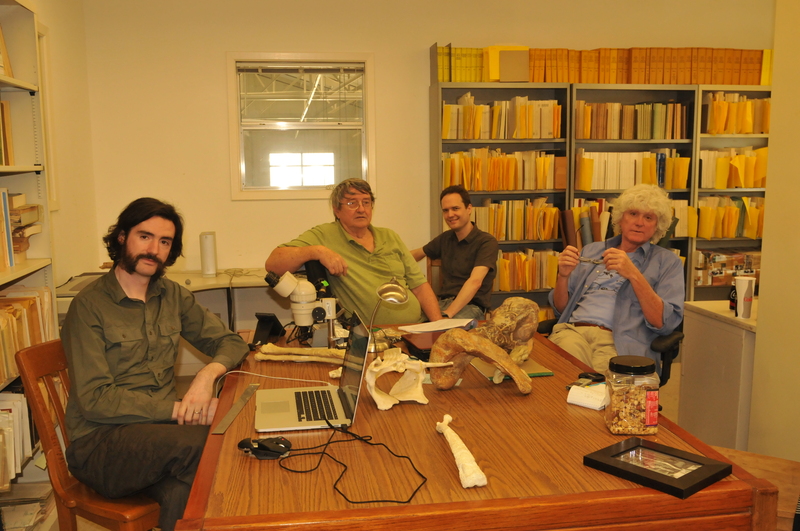 2000); John Conway, an artist specializing in prehistoric animals; James Cunningham, a civil engineer; Tom Lehman, a paleontologist and professor at Texas Tech University; and Kevin Padian, a paleontologist and professor of integrative biology at the University of California, Berkeley. the late Wann Langston, a professor at the UT Department of Geological Sciences. The group sees the monograph as completing work that Langston wasn’t able to finish before his death in 2013.
actually seen it, and we’re the only ones except Wann who have worked on it,” Padian said. finish the monograph in 2017 and submit it for publication. If accepted, they expect the manuscript to be published early in 2018. Texas Memorial Museum on the UT Austin campus. 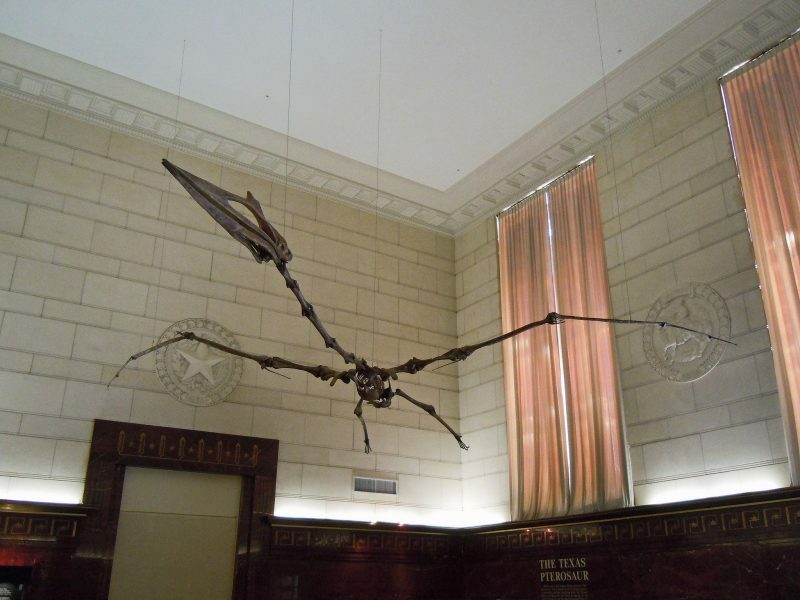 A group of researchers who were also friends of Wann Langston have been studying the pterosaur for years.